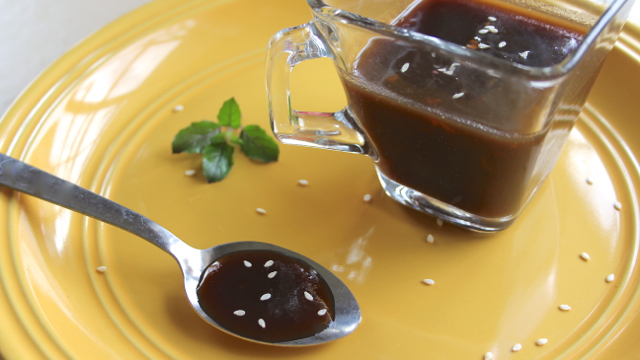 Amazing sweet and sour sauce! 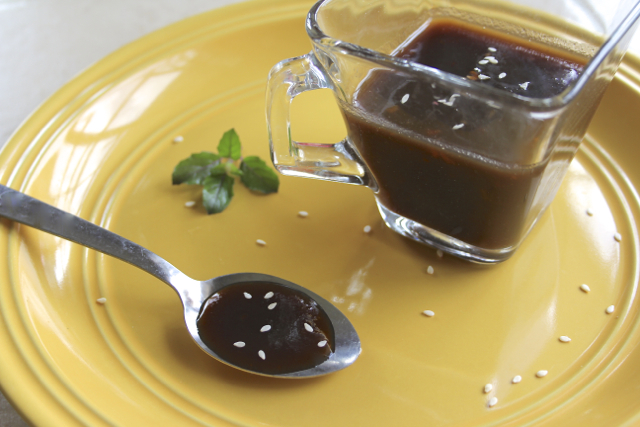 Great for stir-fry's and marinades! 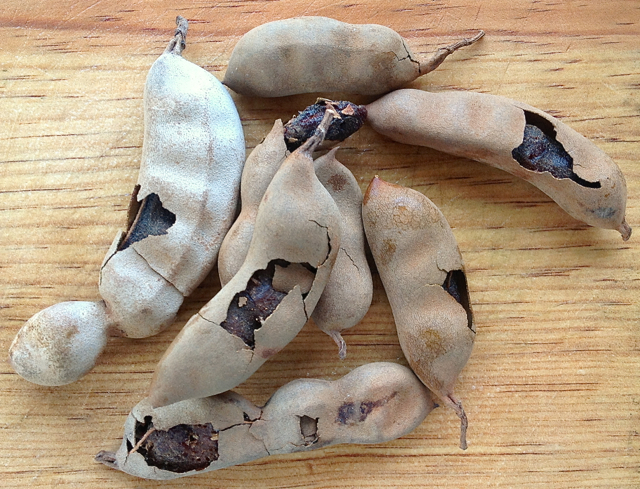 First you will need to take the shell off the tamarind. 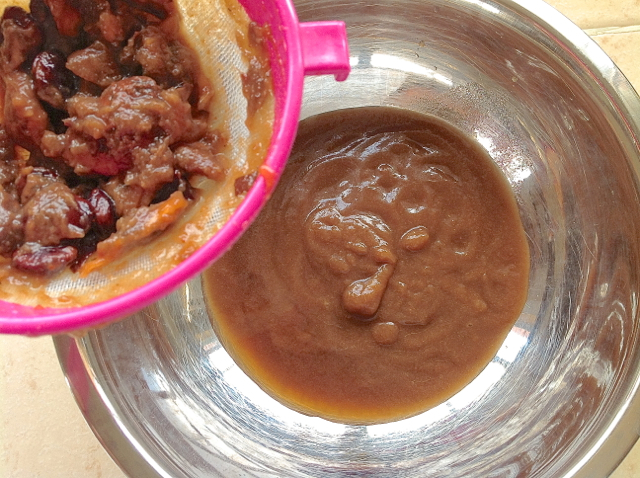 It does not have to be perfect because we are going to strain out all the liquid. 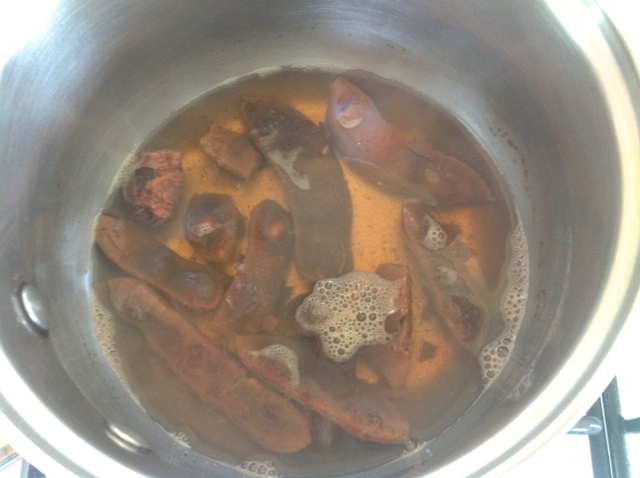 So if there is a little shell left on the tamarind, it is ok.
Next add 1 cup of water to a small pot and add the tamarind. 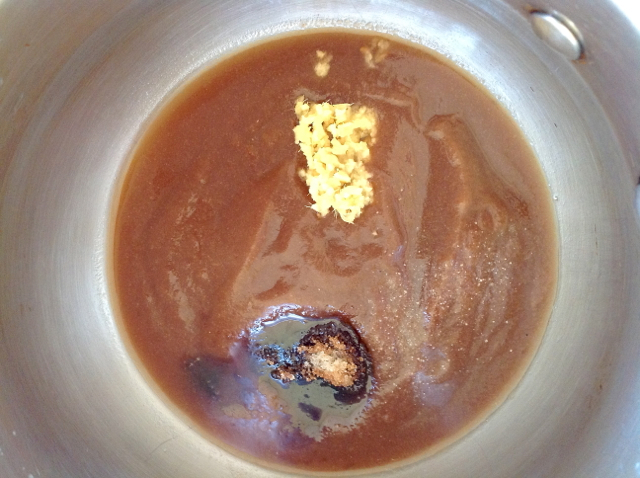 Cook until it reaches a boil and then turn off the flame and let the tamarind soak for about 10 minutes. 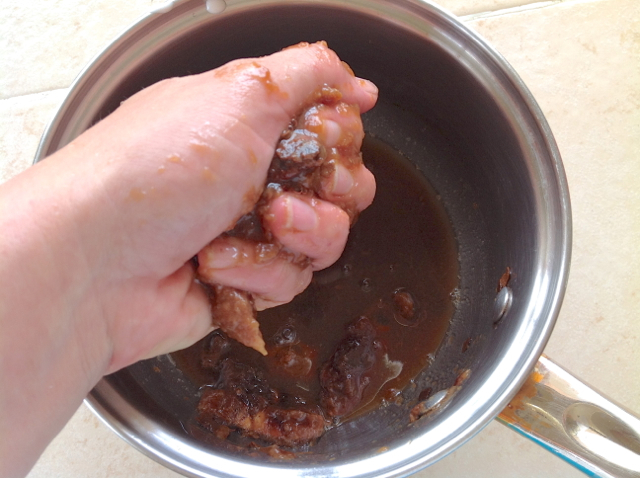 When the tamarind is cool enough to handle, squeeze it between your finger to loosen all the flesh. 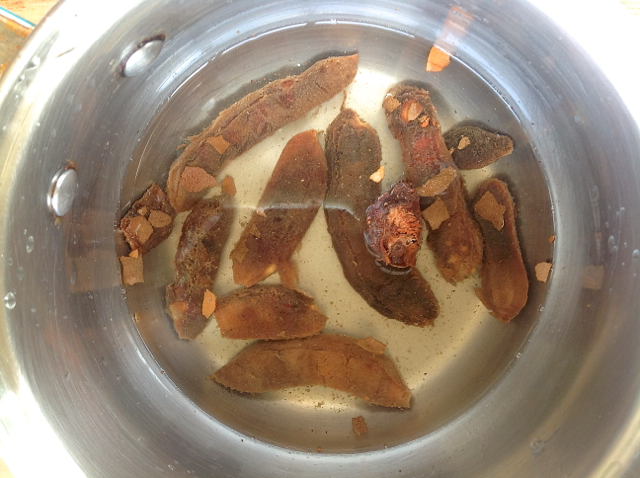 Now we are going to strain the tamarind through a colander. 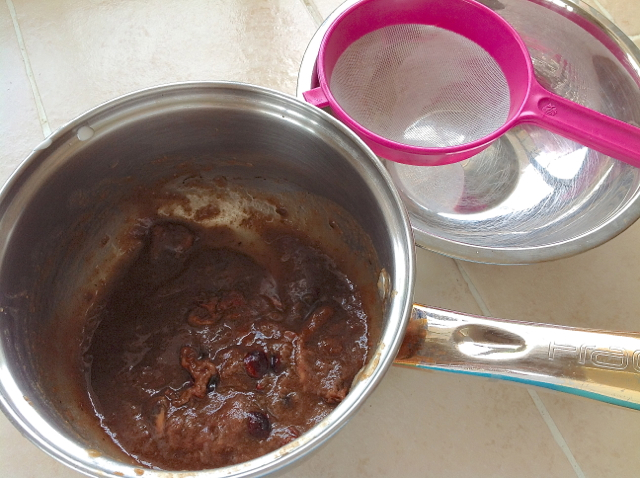 You will need a separate bowl as well to catch the tamarind paste. Press the tamarind through the colander as much as you can. Cook for about 3 minutes on medium flame. Turn off the heat and let the sauce come to body temperature. As per Ayurveda, honey should never be heated or it becomes toxic. 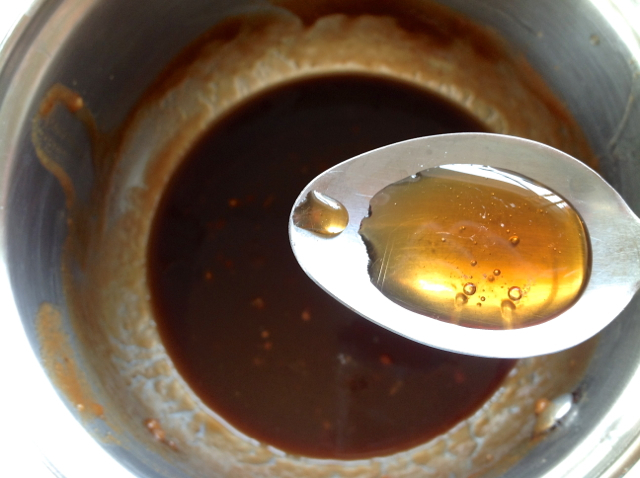 So we will wait until the sauce cools down and then add 2 tsp of honey. That is it! The sauce is ready!